Have you been looking for a pet tag that you can update whenever you want? We love animals. Big, small, furry, skinny...they come in all shapes and sizes. And they also give us unconditional love, well most most of the time anyway! Our world would be a smaller and sadder place without those pets in our lives. 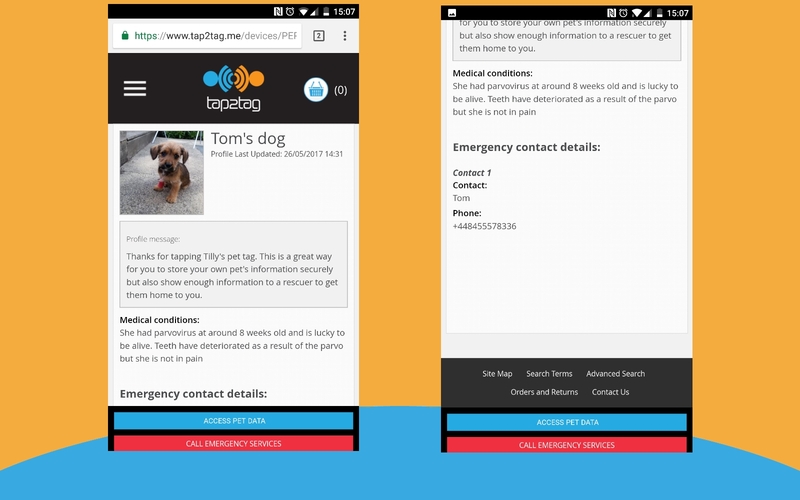 With the power of Tap2Tag we have created an equally unique way in which pet owners can store information about their pets and make this available to vets and good samaritans. What makes the Tap2Tag Pet Tag stand out compared to traditional standard pet tags? With a normal standard pet tag you can only fit a phone number and a name on a small surface. How many times have you had to buy a new tag because your telephone number changed? And how do you tell someone who finds your pet that they have a medical or behavioural problem. The Tap2Tag Pet Tag allows you to store as much information as you want. This information could include medical information about your pet, some contact numbers (more than one!) or where to locate the owner. You can also change the information whenever you like, meaning you won’t have to pay for a new one! 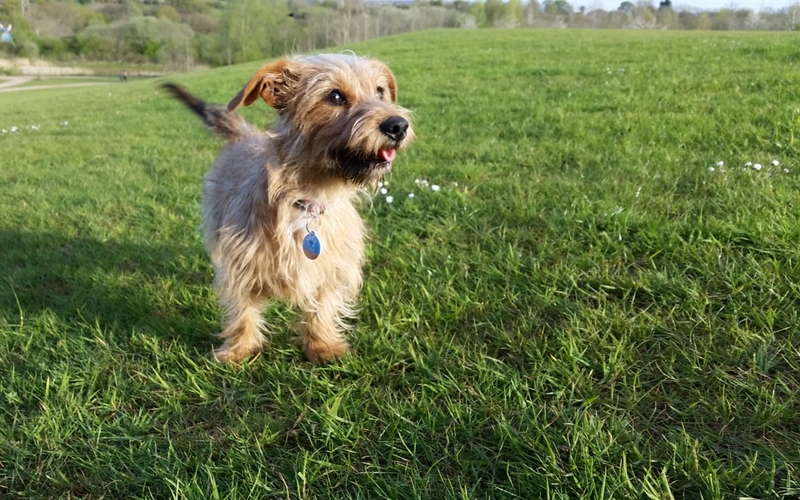 You can also use the pet profile as a one-stop-shop to keep other important information such as your vet's details, internal chip number and pet insurance details. Due to our revolutionary traffic light system you can control who sees this information and even limit to just you. So if you need any information about your pet just login and check their profile. The Tap2Tag Pet system and products are not GPS trackable devices (not yet anyway). If your pet goes missing and is found by a Good Samaritan then all they have to do is scan the tag with their mobile phone. 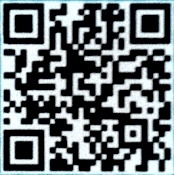 They can either use the NFC capabilities of their Android phone or scan the QR code on the back of the tag. This will take their phone to public profile, only showing the information you would share with a stranger. Want to see what you happens when you scan a Tap2Tag Pet Tag?